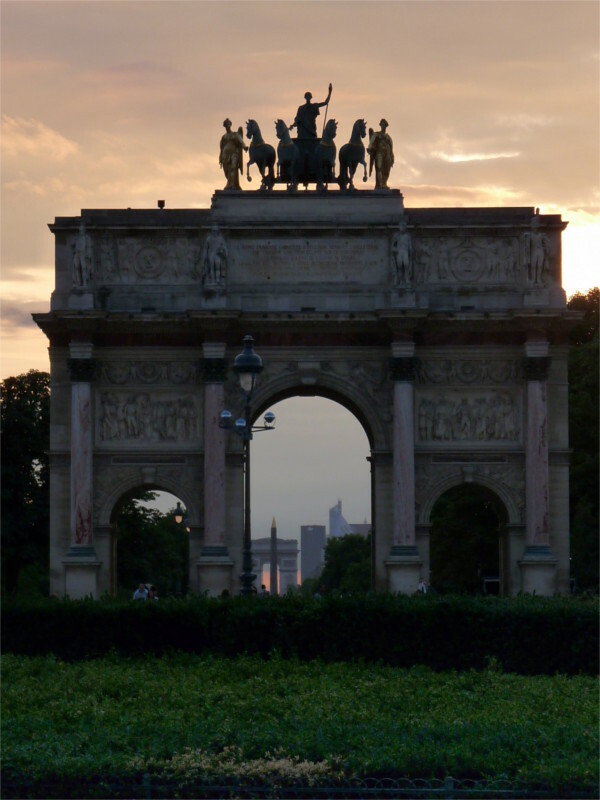 One evening, almost a decade ago, I looked up the sunset time and made my way to the carousel of the Louvre just before. I wanted to take a photo of the pyramid designed by I. M. Pei. The week had been overcast, and the evening was no exception. I hadn’t expected a large number of photographers there, but clearly this had become a photo spot de rigeur. Most of the people there had big lenses, tripods, light meters. I felt like a joker with my bridge camera in my back pack. With some time to go before it became dark enough, I looked around for other shots. The dark clouds had taken on a golden colour as the horizon moved up to meet the sun. Through the Arc de Triomphe at the carousel I could look down the grand axis of this imperial city, to the Obelisk, and the Arc de Triomphe at Charles de Gaulle Etoile. In principle the Grand Arch of La Defense also lies on the same axis, but you have to go to one of the upper floors of the Louvre to get a view of all these four things lined up. I’d passed by this spot the previous day as I’d walked up Rue de Rivoli from the Bastille and then decided to cut across the Seine to the left bank somewhere here. 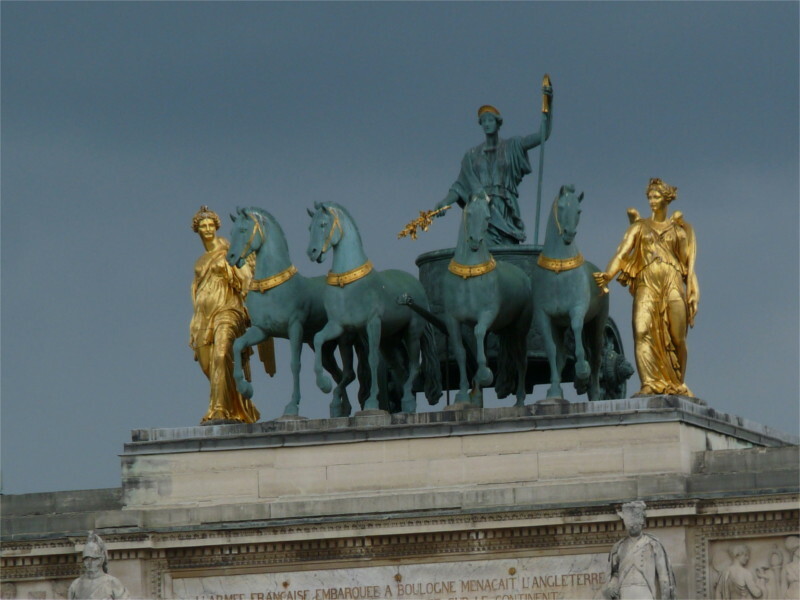 The sky was overcast, but the light on the quadriga was very good. I like the story of this sculptural group. As you probably know, Napoleon brought the original from San Marco in Venice and mounted it here. After Waterloo, it was returned to Venice by Austria. The present statue was put here to commemorate the restoration of the Bourbons after the fall of Napoleon. As the light faded I moved back to the scrum of photographers at the pyramid, and got the featured photo. 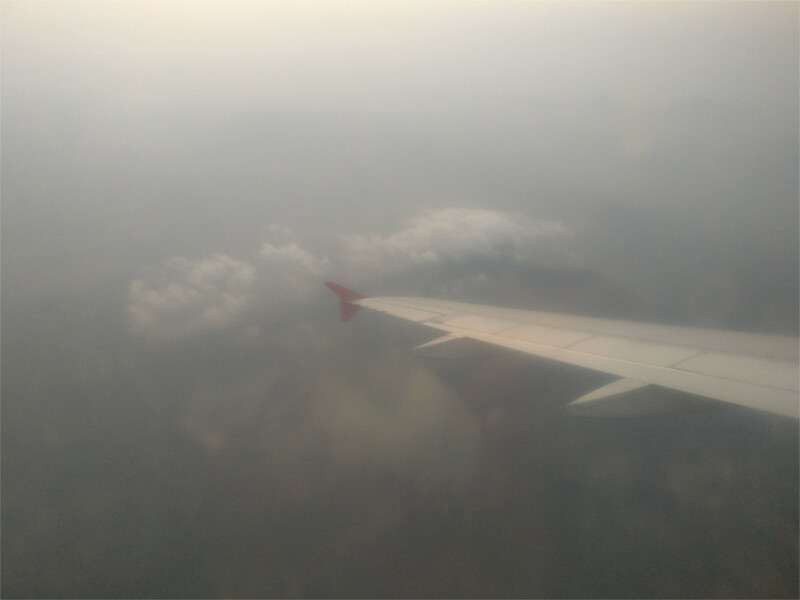 I made the trip to Shillong by an airline which charges high and behaves like a cheap airline. The baggage rules were so awful that if it hadn’t given the fastest routing to my destination I wouldn’t have taken it. How could I cut down my baggage? I cut down much, and, after much thought I decided to sacrifice my camera. I’d used both my camera and phone extensively during my trip to China and realized that a smartphone camera is pretty good. On my phone the sensor which captures the image is about the same size as that in my camera. Phone cameras use CMOS chips, which are more noisy and somewhat less sensitive than the CCD sensors common in cameras. My phone has a fixed wide angle f2.0 lens. The relatively wide aperture means that it focuses a large fraction of the light that it receives on to the sensor. However the lens is tiny, so the amount of light it captures is very much smaller than what the camera gets. The combination of small lens and CMOS sensor means that low-light or strong contrasts should come out badly, if everything else were the same. But other things are not equal. Phone manufacturers have paid more attention to modern computational imaging than almost every camera manufacturer. As a result, I often find that the out-of-box image from my phone is better than that from my camera. Even image stabilization on my phone seems to be better than in my camera. For those who care, I could pull RAW image out of my phone if I wanted. (Why would I, when phones have more versatile software than commercial image processors?) In defense of cameras, I must say that my camera was launched almost three years before my phone. Phones and cameras launched in the same year may compare differently. Of course, my images are only shared with friends or posted on blogs. If you are a professional photographer your standards will be very different. So, with much second thoughts, I decided that on a trip with the clan I would probably not do the extreme photography that I might otherwise. So maybe I could leave my camera behind. Here are two photos that I took with my phone camera on this trip. The panorama in the featured photo is no better or worse than what I’d expected to get. It has no details in the shadows, and the telephone tower in the distance is definitely blurred. 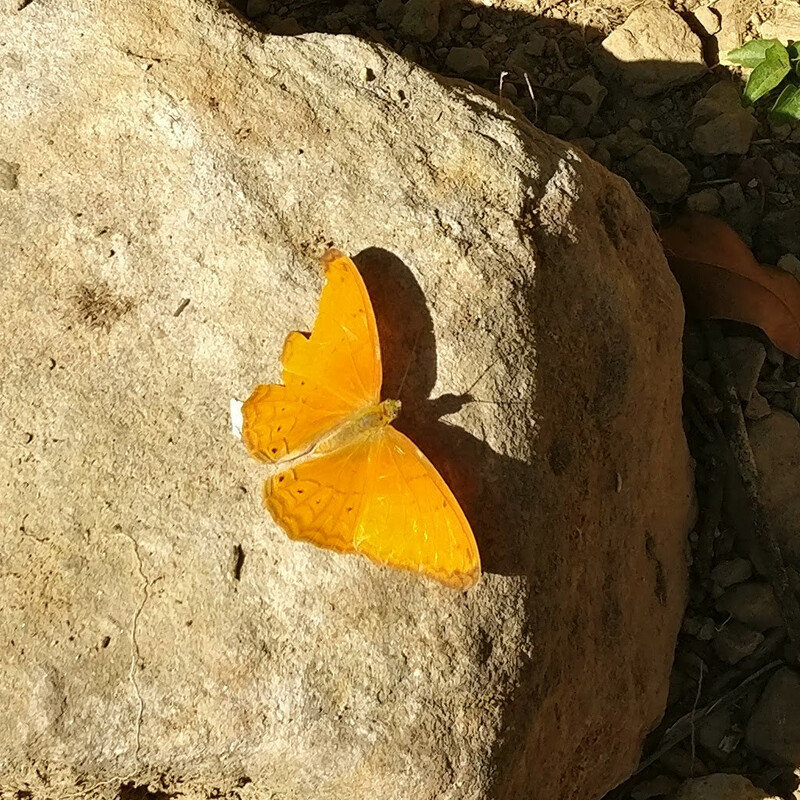 On the other hand, the butterfly has come out significantly better than I’d expected. Although the contrast is high, but the phone has captured texture both on the lit and dark sides of the stone. The image is sharp, and there is no difficulty in recognizing the Large Yeoman. If only my phone camera had not been broken by the latest software update from the vendor, I would have ditched my camera for it more often, at least when I travel on work. Author I. J. KhanewalaPosted on February 4, 2019 February 4, 2019 Categories TravelTags Cirrochroa aoris, computational imaging, large yeoman, Meghalaya, phone camera12 Comments on Camera or phone camera? The name Lei Garden stuck in my head when I looked through the Michelin starred restaurants in Guangzhou. Then while I was looking for a place for lunch in the Tianhe district, it clicked in my head. Since this wasn’t the branch which was awarded a Michelin star, we could hope to get a walk-in table. I didn’t know then that this was the first branch of this Hong Kong chain which opened in Mainland China, as long back as 1995. In order to maximize the chance of getting a table, we walked in for lunch quite late, and found a table with ease. As part of my preparation for eating in Guangzhou I’d made a list of the different kinds of dim sum, written in the Chinese script, and I’d practiced saying these words over and over again. As always, life is simpler than you think it will be. This was a business district after all, so our friendly waiter, Albert, spoke impeccable English. We’d already had several meals in Guangzhou without ordering any dim sum. 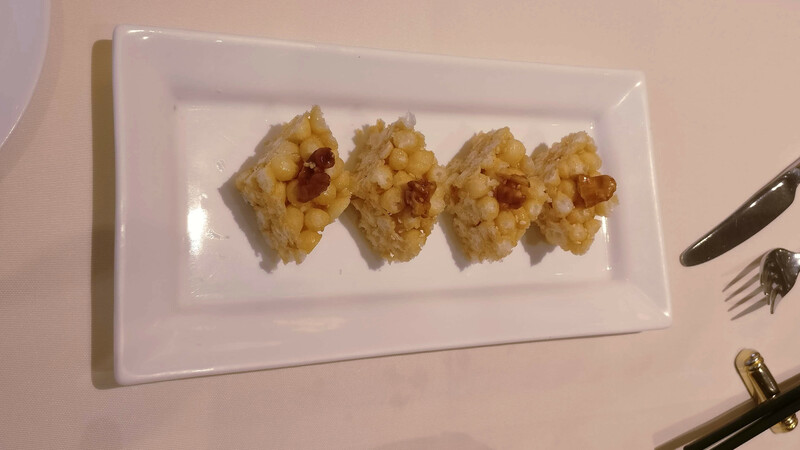 With help from Albert we chose three different kinds of dim sum with different fillings. 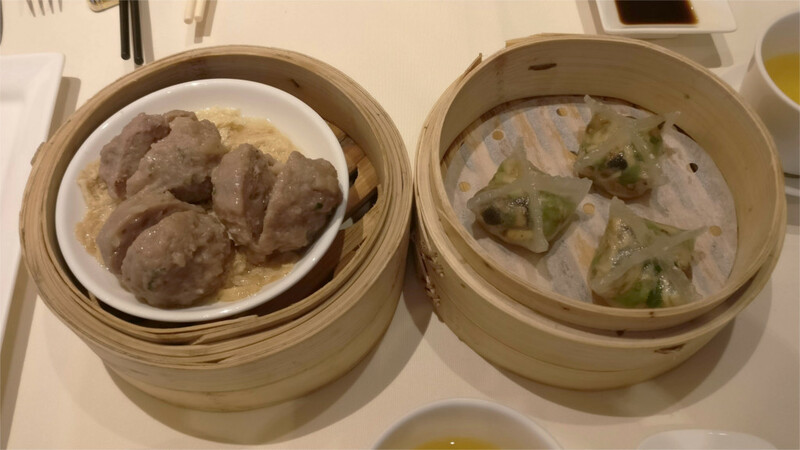 The featured photo shows my favourite, a rice wrapping around shrimp, then there was the lovely steamed pork which you see in the photo above, and the chicken dumplings next to it. When I looked for tofu, Albert suggested the fried tofu balls with a shrimp sauce which you see in one of the photos above. Finally we rounded it all off with the sweet nutty pastry which you can admire in the photos just below. The signature of the Guangdong kitchen is in the freshness of the ingredients, and the quick cooking which serves to release the flavour. Lei Garden carries this philosophy further, with an emphasis on organic growth. Although it is a chain, five of the restaurants have earned Michelin stars. The food was wonderful. I hadn’t had great expectations of the tofu, but it was surprisingly good. The Family remembers it as her favourite. Mine was the shrimp dumpling which you see in the featured photos. Over the next few days we regretted not being able to go back for a repeat of the experience. The food was clearly more modern and lighter than everything I’d eaten since reaching Guangzhou, while being definitely of the style I was beginning to recognize as belonging to Guangdong. Fortunately, there are branches in Shanghai, Beijing, Hong Kong and Singapore, so we should be able to taste this great food if we take a short eastward detour. Flying during the night is tiring, and in the day it is boring. I finished a hefty daytime shot of whisky and depolarized a window to look out of the Dreamliner flying from Delhi to Shanghai. Some time earlier The Family had spotted the unmistakable profile of Everest poking out of the northern horizon. Now I looked down to see a network of rivers. A quick look at the flight map verified that we were flying over the floodplains of Bangladesh, a little north of Dhaka. Somewhere down there, if I knew where to look, would be the village where my grandmother was born. 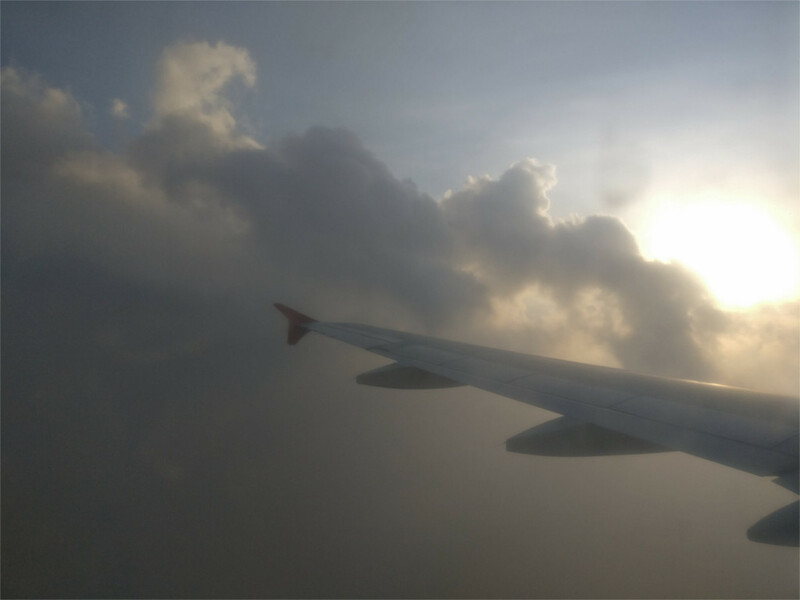 A Dreamliner’s pace can seem slow, until you try to take a photo. Then you realize how quickly features in the landscape eleven kilometers below you slip away. After putting down my beer chaser, I found our path had curved past the Shan highlands of Myanmar towards Qunming. 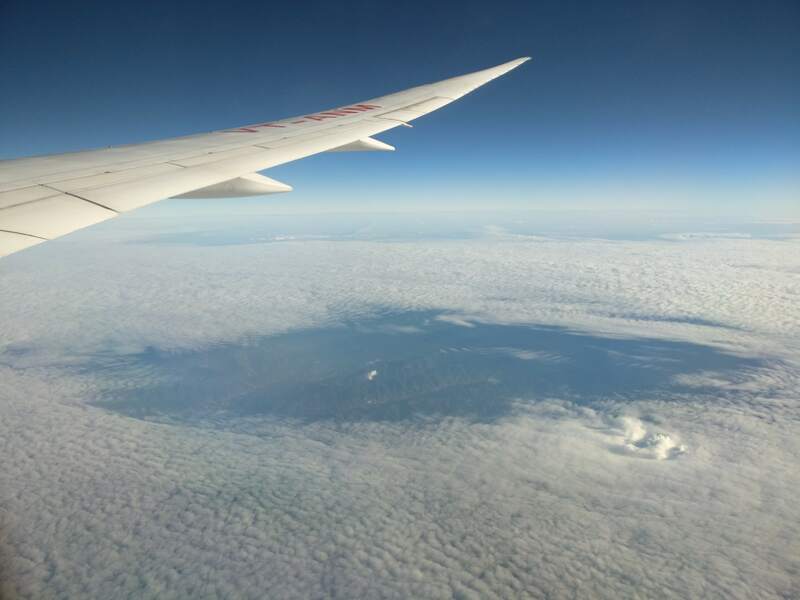 We were more than halfway to Shanghai, and sitting on top of a sea of white clouds. Time to click through the movie menu again. When I was looking for a hotel in Pamban island, one suggestion thrown up by a search was on Aryaman beach. I searched for this beach and found it described in superlatives: silky sand, long beach, beautiful, uncrowded. 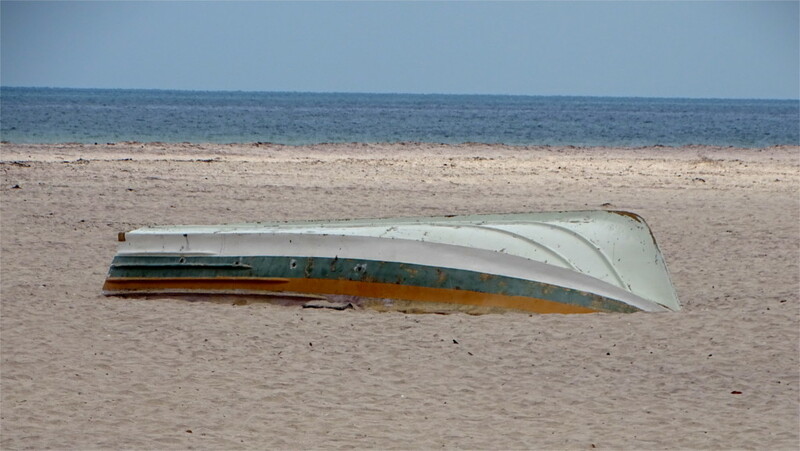 But it was ten kilometers away from Pamban, on the mainland, so we decided not to stay here. But it sounded like the perfect place to stop after an early check out when we left Rameswaram. Our plan to spend the morning here, eat something on the beach if possible, and then to go on to Madurai. Sathiamoorthy was excited about it. While driving he told us that it became famous after it was used as a location for a blockbuster Tamil movie. I filed the information away to check on later. Unfortunately, I haven’t been able to search out this movie (if you have a clue, please leave a comment). As he parked he said that something should be done to improve the beach. Why, was it dirty? No, there was just no place to eat here. It is a lovely beach. The sand is indeed silky smooth. The beach slopes very gently into the calm waters of the Palk Strait. It was a hot day; we saw a few families with children taking dips in the sea. 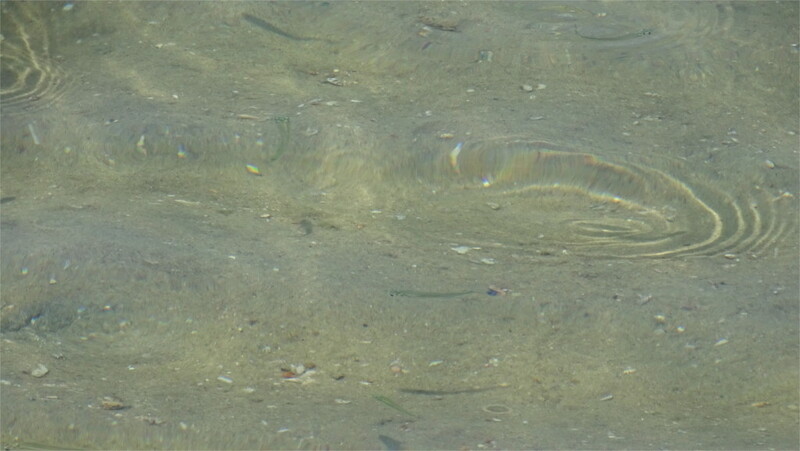 Little fish swam in the shallow wate. We spotted a turtle swim away into the sea. But for our tastes the sea was too calm, almost a swimming pool. The lack of waves also meant that there was no breeze. If we’d been here really early, we might have enjoyed a long walk along the beach. You can see in the featured photo how long it is. But it was getting too hot for comfort, and we called an end to our morning. We had miles to go before lunch. The 150 year old dump which you can see in the photo above is regularly featured as the most precarious heritage building in Mumbai. It was known as Watson’s Hotel in the 19th century CE, and is now sometimes called Esplanade House. I’m afraid to walk below it, because parts of it do drop off now and then. I’m sure it will collapse this year, but it is not impossible that you could win this bet against me. What fascinates me about it is that it is the oldest cast-iron building in India: older than the Eiffel Tower. By the air conditioners that you can see, the building is still occupied. There is a store on the ground floor. The heritage council has recommended immediate structural restoration more than a decade back. The municipal council legally has the power to force the owners to start repairs when a building is structurally unsound and has tenants. This has not happened. Elsewhere in Mumbai, owners were sometimes left with strategic pieces of real estate without the encumbrance of tenants when old buildings collapsed. Every travel blogger, whether hunched over a keyboard or relaxing with a drink, is a little Amundsen struggling across unmapped ice fields, or a closet Schliemann dynamiting a way to their own Troy. But sometimes one fails. Sometimes, one is a luckier Scott, one who lives to tell the story of one’s failure. My attempt to visit Rumi ka Maqbara in Ujjain was a failure, which resulted in a single photo, the one you see above. When I saw this name in Wikipedia’s list of places to see in Ujjain, I was intrigued enough to search for more. Very little is written about this tomb, and sources even differ on the century of its construction. Is it from the 15th or 17th century CE? And this Rumi, who was he? Certainly not the Sufi poet Jalal ud-din Rumi, because he is buried in Turkey. After some search, I found a description of late medieval Sufi traditions, called silsila, which lead to something which might be closer to the truth. I knew nothing about Sufism, except for their increasingly popular modern remnants: the songs. Could this be the tomb of Khizr Rumi Qalandar? The Qalandari sect was founded by a Spanish muslim in the 13th century CE, and the Anatolian, Rumi Qalandar, appeared in Delhi in the 13th century CE. He and the Chishti saint Qutubuddin Bakhtiyar Kaki instructed each other in the mysteries of their own Sufi traditions. Khizr Rumi began the Qalandaria-Chishtia tradition of India. He could well be the Rumi whose maqbara I was reading about, because this kind of syncretic Sufism was a very popular alternative to the state supported Islam of Malwa in the 14th century. I can’t be certain about the connection without knowing more about the history of the structure I wanted to see. But if all this speculation is correct, then the tomb could be from the late 13th or 14th century CE. Google maps has a pointer to this place, and even a photo of the tomb. It looks completely different from the usual Indo-Afghan or Mughal tombs that I have seen. So we decided to drive there, and promptly lost our way. The place is not accurately mapped in Google (the photo is correct), but we came to a Muslim cemetery at the place that Google puts the maqbara. People there knew about the tomb, and gave us precise and correct directions to it. Following their directions, we came to a mound on top of which the tomb, not visible from the road, sits. Later we found a signboard which correctly points to the tomb. But first we turned to a motorable road up the mound. This was a mistake. We should have parked the car and walked up the mound. After much fruitless searching and querying of locals, glimpses of the tomb from a distance, we came to a very well-maintained farmhouse on top of the hillock. Across fields I could see the tomb. There was no one to ask permission from, so I walked into the farm as far as I could go. A wall and another farm lay between me and the tomb. I clicked the photo that you see, and got back to the car just before it started raining. We decided to circle the mound once more, and this time we found the signboard and the right path. But it had started raining hard, and this muddy path between fields had turned into a gummy slush. So close! Very reluctantly we gave up. Another time I have to return to take photos of the inscriptions in the tomb, and find someone to decipher for me the riddle of the enigmatic Rumi whose mysterious tomb this is. The monsoon set in as a yearly phenomenon when the Tibetan plateau was lifted up by India crashing into the Asian continental plate. This was about 50 million years ago, when the earth was a hothouse, and the first ice sheets of the Antarctic were still 15 million years in the future. So, when it comes to descriptions of the monsoon, almost anything that can be said about it has been said already. Every so often I’m surprised by the aptness with which millennium old Sanskrit poems describe the monsoon. 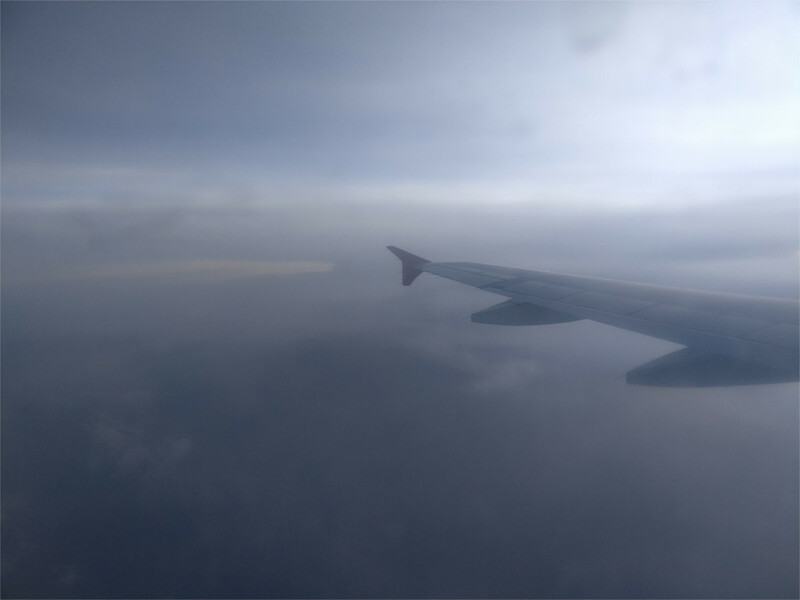 The one experience that is new, that perhaps the generations living now are seeing for the first time, is of flying through the weather. Coming back from work recently, I spent an hour in the middle of rainclouds driven by monsoon winds. There is a constant turbulence, little sinking feelings in your stomach that you learn to ignore. Outside the window is a wonderful show of clouds and light. The poets of these sights are probably beginning their careers now. Is there a romance of travel? I’m old enough to have spent my youth traveling in trains and buses across the country when it could take a full day to get from Bengaluru to Mumbai, or two from Mumbai to Kolkata. Was that romantic? In hindsight, maybe. Most of the actual travel time was bothersome or boring. Bothersome when you ran out of water, or were trying to find a reasonable lunch; boring when you would stare out of the window at the passing countryside for two hours, framed by power cables in catenary motion. Later, The Family and I took our backpacks on to state transport buses across the country, getting from one remote temple to another far-away ruin. This was also romantic only in memory. At that time we would cover our faces against the dust, and attempt to make desultory conversation with the couple sitting across us with a basket of squawking chicken on their lap. 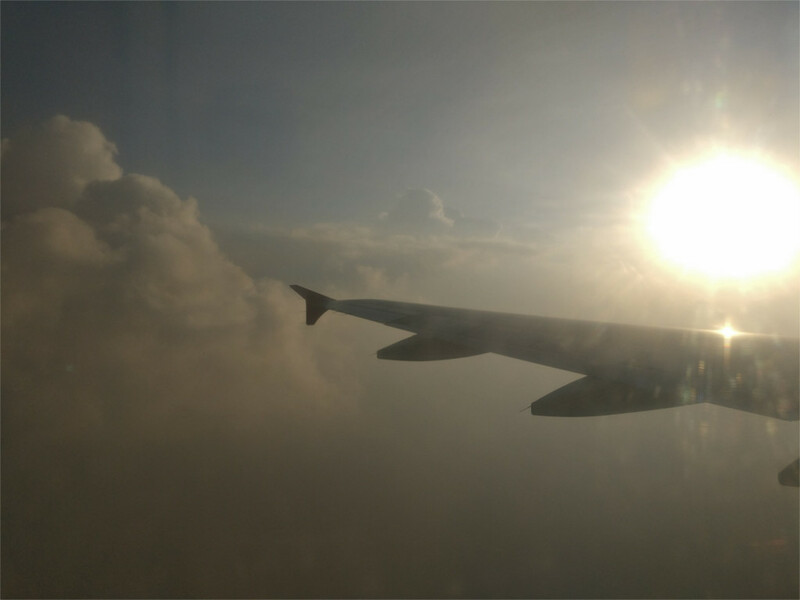 On the other hand, when I look out of the window after boarding a flight and see other aircrafts lined up at the gates next to us, my heart still lurches. I forget my papers and meetings for a moment. The possibilities of travel seem limitless. Where are those others going? Indore, Imphal, Incheon? Jodhpur, Jakarta? Khartoum? Some years ago, The Family and I went for a very short holiday to Mandu. The way lies through Indore. We spent only a couple of hours in the town on the way back. 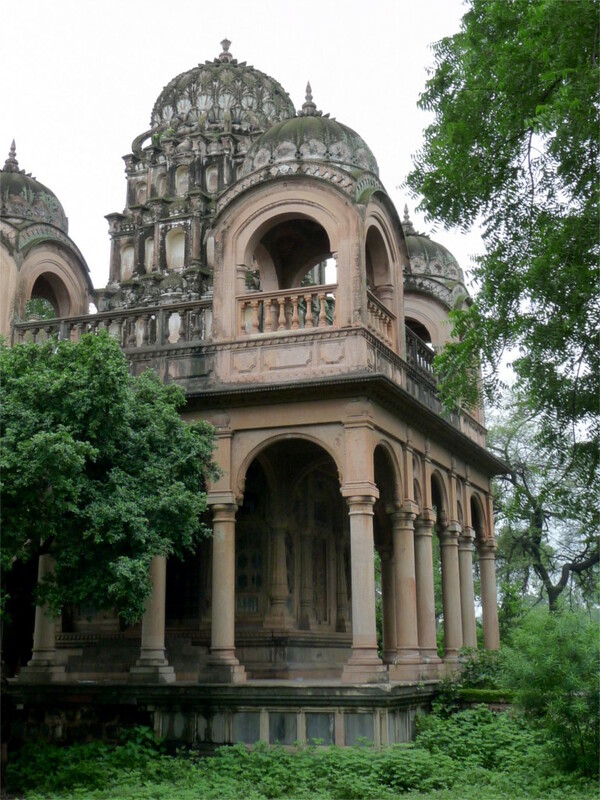 I remember seeing some cenotaphs (chhatris) of the 19th century Holkar rulers (photo below). 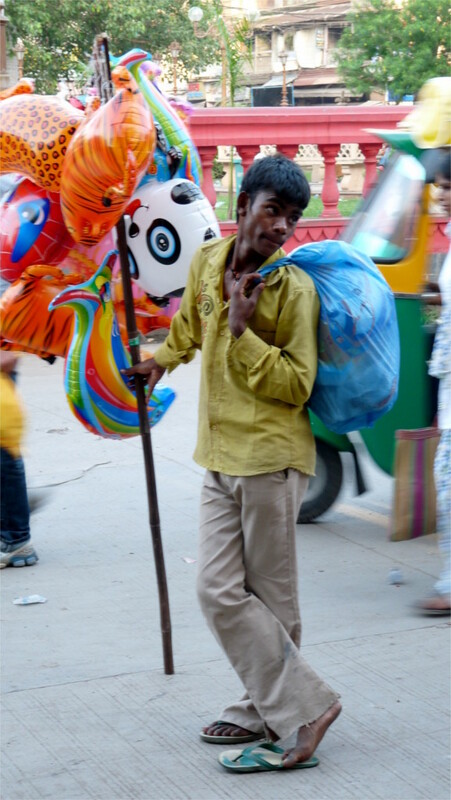 We walked through a place called the Sarafa Bazar and found it interesting but less than spotlessly clean. Today Indore is ranked the cleanest city in India. There’s an interesting story behind this transformation. It is also something that made us think of going back to see the city. Perhaps as a result of this clean up, the street food scene in Indore is something that gets lots of attention on blogs. I saw blogs by Selcouth Explorer, the former Dilliwali Taste Memory, the local expert Megha and the wonderfully named Follow the Eaten Path rave about street food, but naming very different things to eat. There is clearly a lot of variety when it comes to street food of Indore. Two places which crop up over and over again in stories about food in Indore are Sarafa bazar, which is apparently open till two in the morning, and Chhappan dukan in New Palasia, which has 56 different food stalls. I guess the question of where to eat will become an issue in Indore. Historically, Indore rose with the Maratha empire. In the first third of the 18th century the Nizam granted rights to the Malwa kindom over to the Peshwa, who then handed the town of Indore and the district of Malwa to the Holkar chieftains. Indore remained the main garrison town although Ahilyabai moved the capital to nearby Maheshwar thirty years later. The palace complex of Rajwada was built in 1866, after this move. 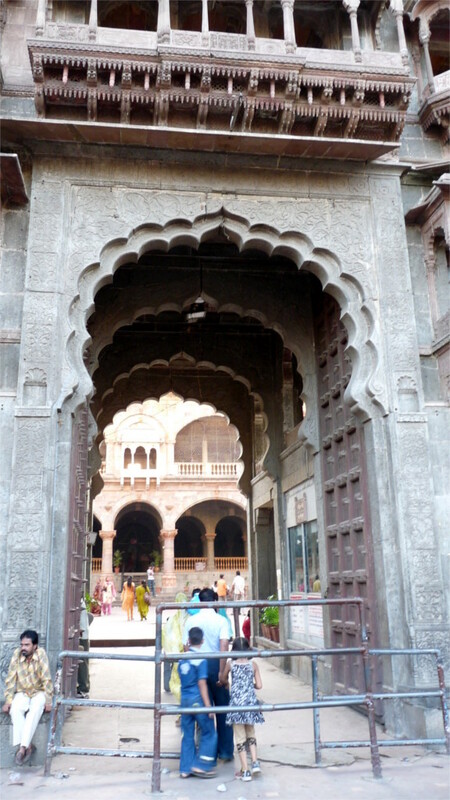 I discovered some photos from our visit (the door above, and the featured photo) which turn out to be of Rajwada. The Family and I have no independent memory of having been here: so I guess we will go back to see it. The Lalbagh Palace, which also seems to be one of the major sights, was built by a Holkar well after the final defeat of the Marathas in 1818. We have certainly not seen this. Nor have we seen the Jain temple made of glass, the nearby Jama Masjid, the three century old Khajrana temple, or the less well-known British era red and white churches. Indore is the gateway to several interesting places nearby. The Family and I have already been to Mandu and Maheshwar. I visited Omkareshwar a while back. So there are few other places to see nearby. Is Dhar interesting enough to make a one and a half hour drive? 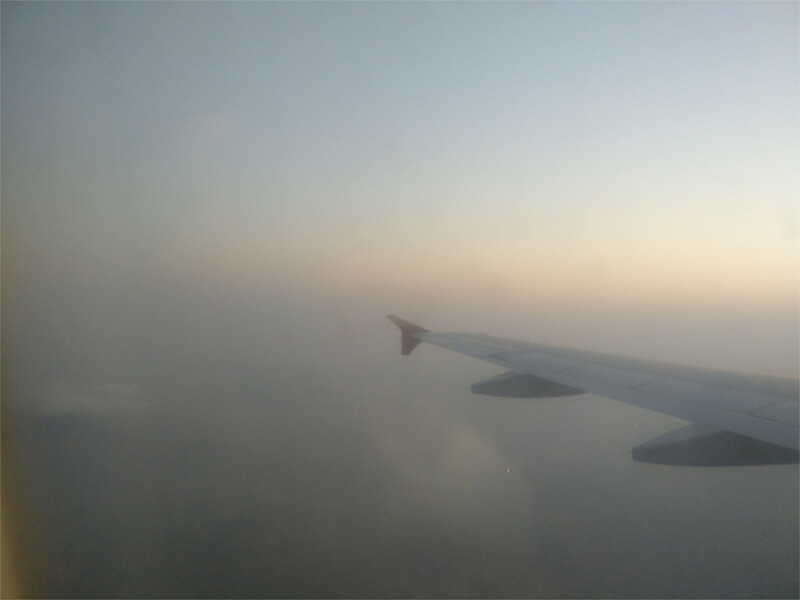 If we have to take one trip out of Indore, would we rather go to Ujjain, which has been continuously inhabited since 700 BCE? This means that I have to read a lot more.